In 2-quart saucepan, heat milk over medium heat until hot. Meanwhile, in small bowl, beat egg yolks and sugar until lemon colored and sugar is dissolved. Gradually stir half of the hot milk into egg mixture; stir back into hot milk in saucepan. Cook over medium heat 2 to 4 minutes, stirring constantly until mixture starts to thicken and coats back of spoon (do not boil). 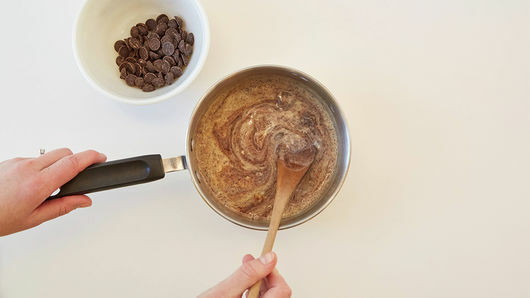 Remove from heat, and gradually stir in chocolate chips; stir until chocolate is melted and smooth. Stir in vanilla and salt; transfer mixture to medium bowl. Cover with plastic wrap, pressing to touch surface of chocolate mixture. Refrigerate about 1 1/2 hours, stirring after each 30 minutes, just until chilled. Beat whipping cream in chilled medium bowl with electric mixer on high speed until stiff peaks form. 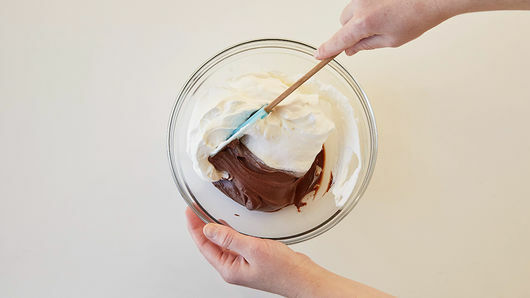 Gently fold chocolate mixture into whipped cream until incorporated. Spoon mixture into serving bowls. 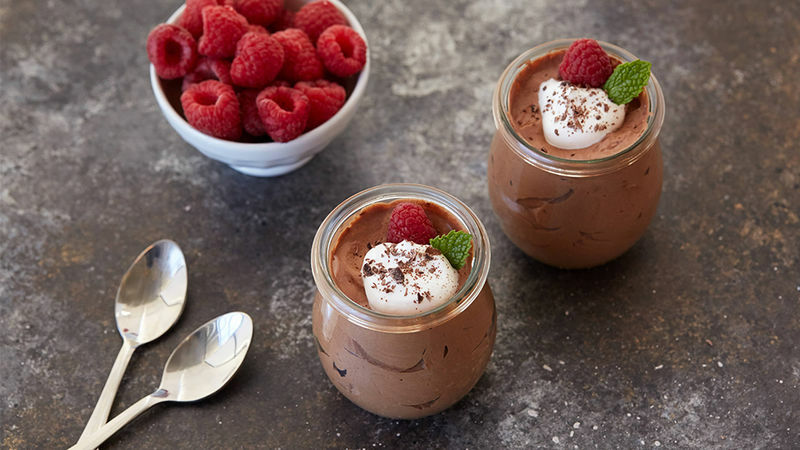 Immediately refrigerate any remaining dessert after serving. 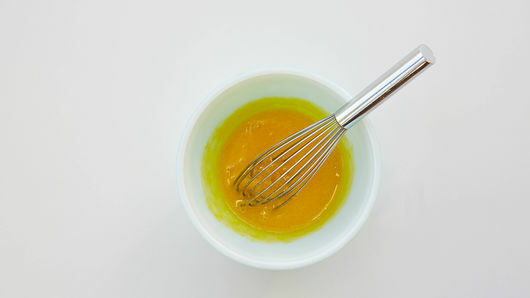 Tips for success: Cook the milk and egg mixture only as long as it takes to thicken and coat the back of a wooden spoon. 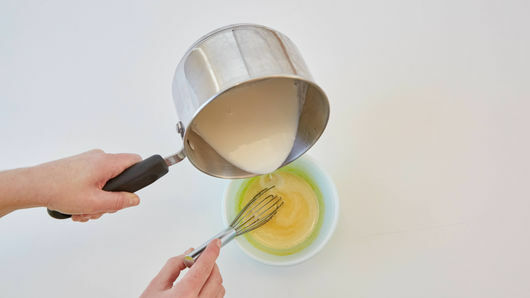 To test doneness, run your finger through the mixture on the spoon, and if a clear path is left and the remaining mixture remains on spoon, the mixture is ready. Overcooking will result in a curdled mixture. Beat whipping cream in chilled stainless steel bowl; chill bowl in freezer 10 minutes before whipping, for guaranteed success.